The use of a racial slur isn’t the career-ending death sentence one think it is – but should it? Bill Maher’s use of the “N-Word” on his Real Time show on HBO recently opened up a debate on whether if it’s okay for non-African Americans to use the word – even to make a point. 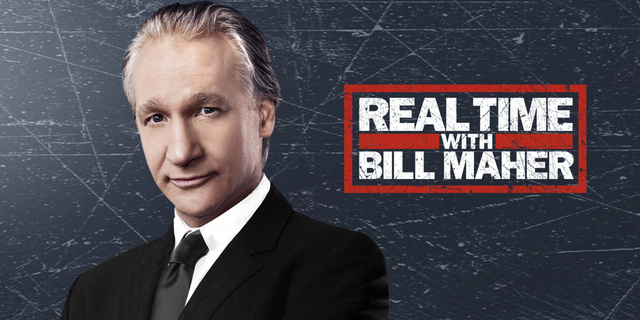 On June 2nd’s edition of Real Time, Maher was discussing people working in farm fields with a Republican senator from Nebraska when Maher uttered “I’m a house ni–er” with the audience roaring approval. The following day, Maher apologized for use of the word and did so again on the June 9 edition of Real Time. So far, HBO hasn’t punished him for his actions, but did let him know they were unhappy. This is not the first time Maher has said controversial or racial statements. In 2002, ABC canceled his Politically Incorrect late-night strip after remarks about 9/11. According to ThinkProgress, Maher has often said nasty things about African-American women, and even blamed the black community for Hillary Clinton’s defeat last fall. Maher seems sympathetic to those who hold “alt-right” views, even booking them. At the same time however (and this is something ThinkProgress didn’t point out), Maher has featured notable black figures on his show. Reaction to Maher’s gaffe has been mixed among African-Americans, with Chicago’s Chance The Rapper condemning him while Michael Eric Dyson showing support – though he said Maher shouldn’t have said it. 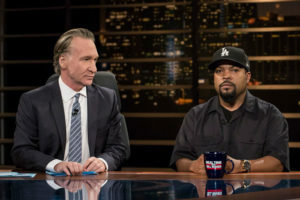 The following week, Ice Cube came on Maher’s show and slammed him for using it. Also showing support was basketball legend Kareem-Abdul Jabbar and Atlanta-based rapper Killer Mike. Oddly, other groups, such as the NAACP and civil rights leaders such as the Rev. Jesse Jackson and the Rev. Al Sharpton have been silent. It should come as no surprise as HBO has a history of tolerating such views and language. For years, the premium channel employed boxing commentator Larry Merchant, known for disrespecting minority fighters such as Mike Tyson, Oscar DeLaHoya, and Floyd Mayweather. He retired in 2012 and never was disciplined. As yours truly has noted in this space before, there is a lack of diversity in the media business in television and radio, both in front of and behind the camera. HBO has never been known for it, aside from giving Chris Rock and Russell Simmons shows and the occasional TV movie, such as 1991’s The Josephine Baker Story. This reminds yours truly of an incident involving the “n-word” taking place on a St. Louis radio station in 1993, as documented by now-defunct music trade magazine Radio & Records. Top 40 outlet WKBQ-FM morning personalities D.C. Chymes and Steve Shannon got into a heated argument with an African-American female caller and one of the personalities said on the air she was “acting like a ni–er.” WKBQ management suspended the pair two days later and were subsequently fired and eventually sued them. The controversy generated considerable media attention, with the local NAACP and religious leaders denouncing the duo. In 2005, New York Hip-Hop station Hot 97 (WQHT-FM) fired several on-air staffers after making fun of tsunami victims in Indonesia, which included slurs directed at Asian-Americans. Many of those involved later returned to other jobs in radio. In recent years, former politician Joe Walsh made racial slurs on the air over WIND-AM, including the n-word. Last year, Walsh made controversial comments regarding President Obama and African-Americans after five police officers were killed in Dallas (yours truly called for the FCC to revoke the station’s license.) But guess what? He remains employed. I can cite several other instances of racial insensitivity from Survivor mishandling Colton Cumbie’s appearances on the show to Bruce Wolf and Kelli Walker’s throwdown over WLS-AM a few years ago. So what’s to make of all this? Incidents such as I described above doesn’t necessarily mean the end to one’s career. It should, but typically it doesn’t happen. And it will get harder for any real discipline to be administered – especially in an era where hate is peddled by the current administration in the White House under the guise of “Let’s Make America Great Again.” As media companies continue to consolidate with the FCC taking a hands-off approach (unless it involves indecency), the shock jock mentality we’re seeing on the air regarding race is likely to continue. As the Radio & Records article noted in 1993, the FCC considers the “n-word” protected speech, unlike George Carlin’s “seven dirty words” routine. Wouldn’t matter anyway, given HBO is a premium service, and does not come under jurisdiction of the FCC. There are indications Maher will not be fired or even disciplined for his actions – mainly because if HBO does, he’ll just show up somewhere else. And yes, there are many willing to give him a free pass. But what do you expect in an industry with so few faces of color? I guess in an era now where we’re used to racial slurs, we’re also used to the lack of diversity in the business.